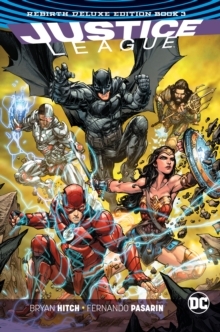 A part of DC Universe: Rebirth! 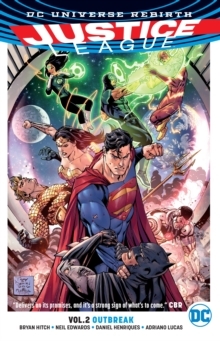 Spinning directly out of the events of DCUNIVERSE: REBIRTH, a new day dawns for the Justice League as they welcome a slewof new members into their ranks. 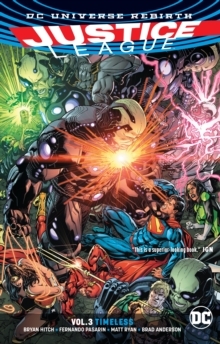 The question remains though, can the world'sgreatest superheroes trust these new recruits? And will the members of League beable to come together against an ancient evil that threatens to reclaim not justthe world, but the entire universe! 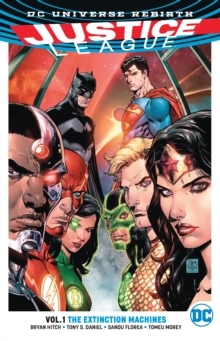 Masterful storytelling, epic action, andunbelievable art come together in JUSTICE LEAGUE from best-selling comic bookwriter Bryan Hitch (JLA) and superstar artist Tony S.
Daniel (BATMAN, DETECTIVECOMICS). 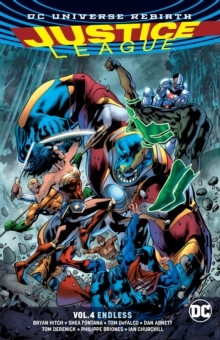 Collects JUSTICE LEAGUE: REBIRTH #1 and JUSTICE LEAGUE #1-6. Rebirthhonors the richest history in comics, while continuing to look towards thefuture. These are the most innovative and modern stories featuring the world'sgreatest superheroes, told by some of the finest storytellers in thebusiness. Honoring the past, protecting our present, and looking towardsthe future. This is the next chapter in the ongoing saga of the DC Universe.